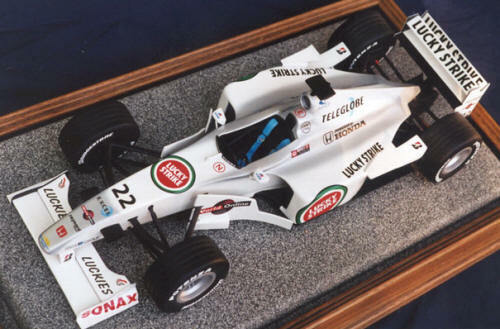 2000 brought about the long awaited build of our first Formula 1 car. 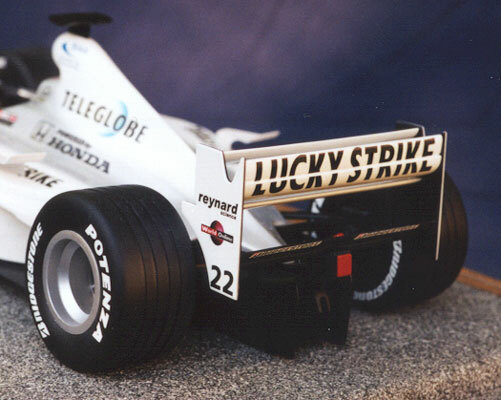 The BAR #22 Lucky Strike car was as you know, Jacques Villeneuve's, Formula 1 Reynard Honda, and although it wasn't the best of years for Jacques, the car was very impressive. We were delighted to be asked by the sponsors, to build these 1/10th. scale models of this great looking car.